Who soul surfs as good as anyone? Who? 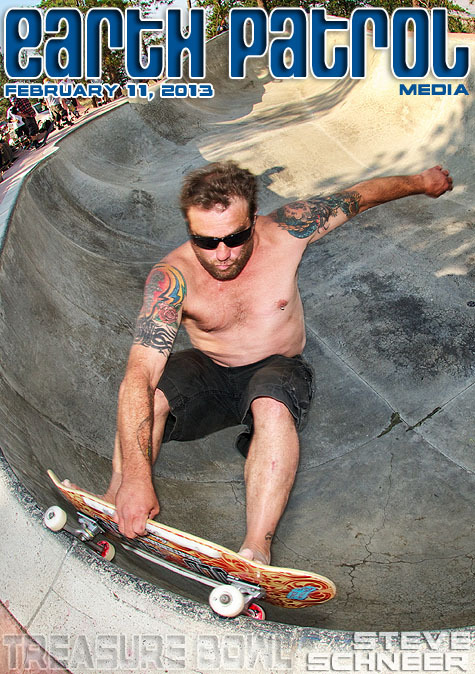 Why this week’s Monday Cover skater, Steve Schneer, that’s who. 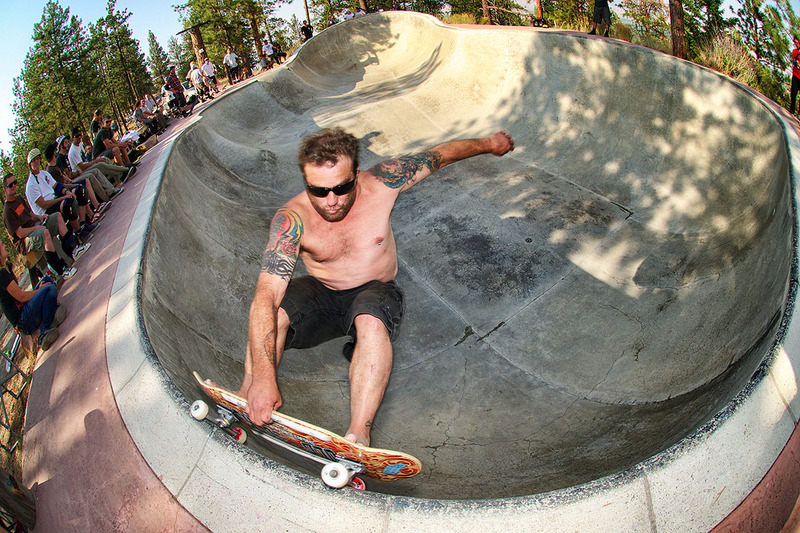 Check out this full on double trucker in the corner at the Treasure Bowl and more after the turn. Stoked! Steve still ripping it up..
That was fun weekend! Never dull a moment when Steve is around. Schneer Rules! I spy my empty Moose Drool. Rad times in Montana! He needed to get rid of those underwears to correct the center of gravity. Hey Schneer, have you started you subaru vanagon conversion? of Orange County. What’s the excuse this year to do it all again? Epic weekend for sure. As far as an excuse, how about a “Spinal Tap” celebration, the Treasure Bowl goes to 11. Ill b there! Tighty Whities this year?? Always fun in Montana! 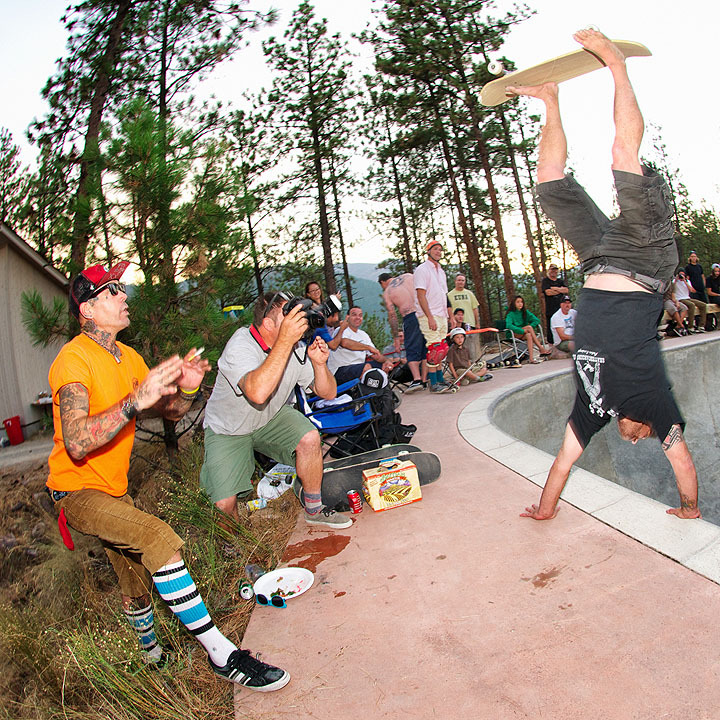 So bummed I missed this 10 yr B-Day party for the bowl the Mega Montana Session. Steve had called to see if I was going….sometimes work in Alaska gets in the way. You will be forever missed by us all.